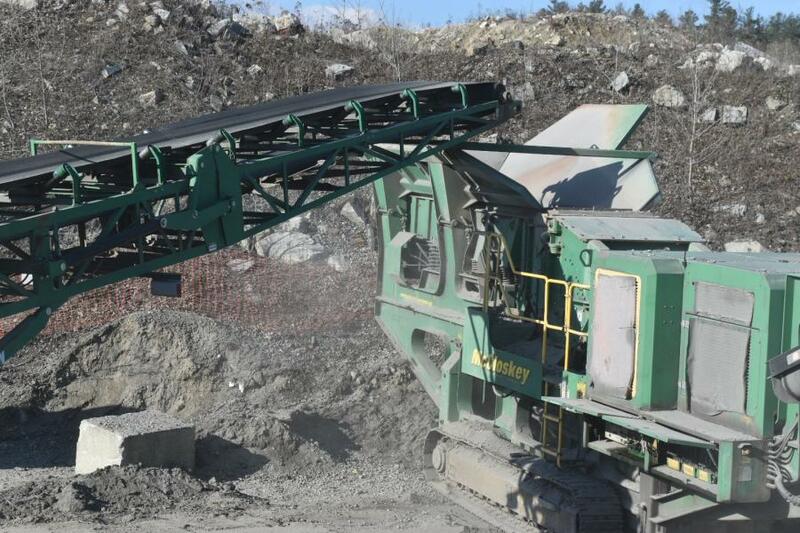 McCloskey R155 scalper screener feeding oversize material into a McCloskey C44 cone. Richard A. DeFelice grew up in the road construction business. The Watertown, Mass., native, whose father and grandfather both worked for the Watertown public works department, made the decision at a young age to build a career in road building, and over the course of the next 40 years, he performed at various levels of the construction industry, including, sales, estimating, operations and finance. In early 2000, DeFelice became the founder and co-owner of the Newport Construction Corporation. Today, he serves as the company's president and CEO. During its first decade in business, Newport Construction experienced extraordinary growth and was very quickly involved in major projects across northern New England. 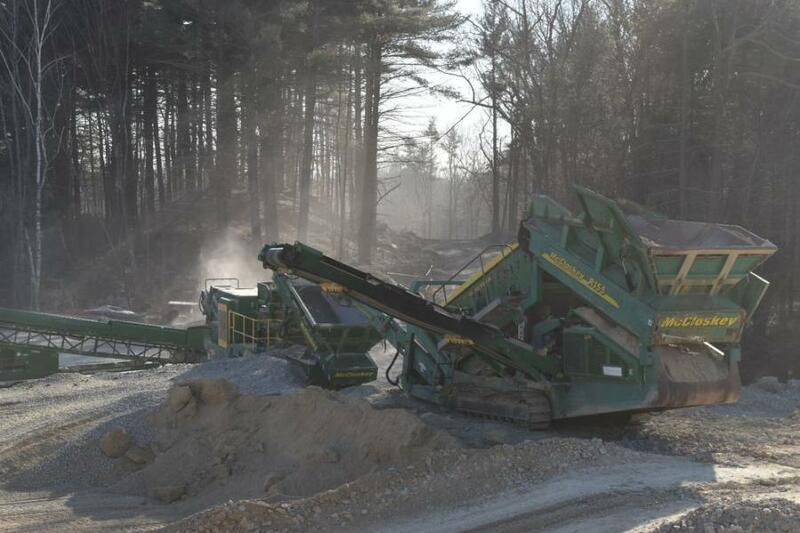 In 2009, with an increased volume of materials from job sites that needed to be processed, Newport Construction saw the wisdom in starting a material recycling facility. 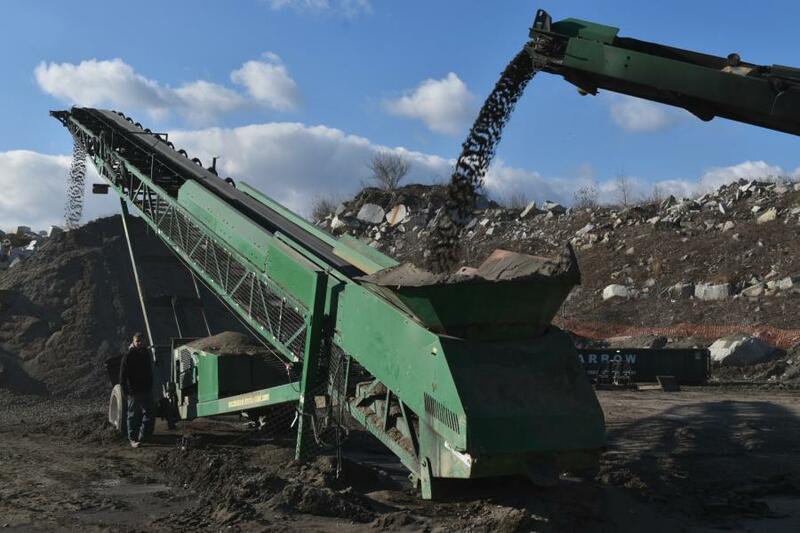 A small, 4-acre lot was leased to set up a recycling plant in Westford, Mass., to process brick, asphalt and concrete. That 4-acre lot soon grew to a 12-acre lot. This material recycling facility became known as Newport Materials. According to Jon Tucker, facility manager of Newport Materials, "Our stockpiles of product needing to be processed was growing and our capacity to process it needed to increase. At this point, we started to look for effective ways to increase our productivity. That's when we met Mike Lanchanski and were introduced to processing equipment from McCloskey International and its dealer, Rock & Recycling Equipment. 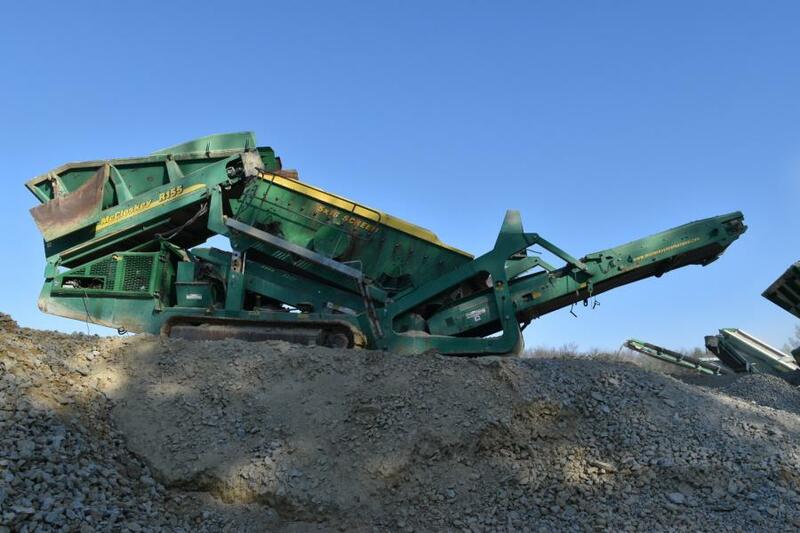 "Mike came to our site, evaluated our situation, and made some recommendations that resulted in him bringing a McCloskey I54 tracked impactor and a McCloskey R155 tracked scalper screener to our site for a demo," Tucker said. "The results of the demonstration were very impressive. We saw increased material separation, higher production levels and good fragmentation. We were equally impressed with their willingness to go to the time and expense of setting up a demo. "We purchased those machines in 2011 and they are the cornerstones of our recycling facility today, which has now expanded to a 115-acre recycling facility." 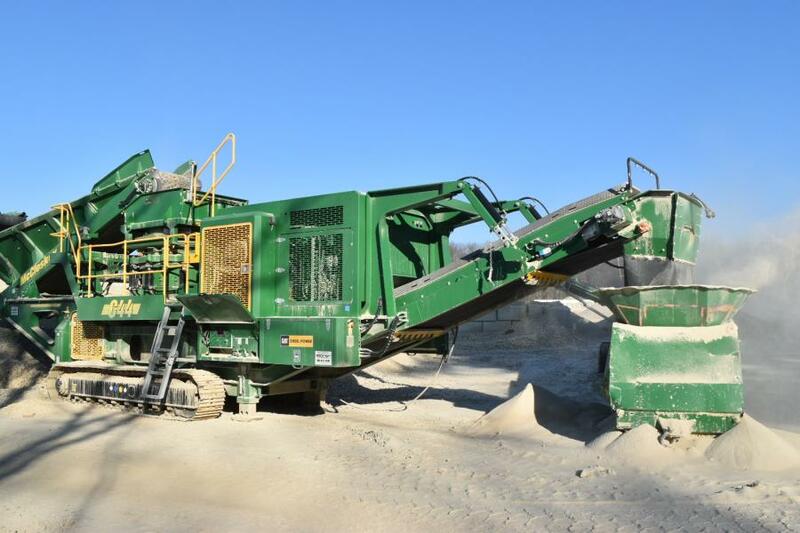 As Newport's recycling facility expanded, it was offered the opportunity to purchase a permitted granite quarry adjacent to its recycling facility. The Newport companies pride themselves on producing high quality products, whether it be a construction project or aggregate. With this commitment in mind, the decision was made to equip the quarry with the best available portable aggregate equipment. The call went out to Lanchanski and Rock & Recycling Equipment. 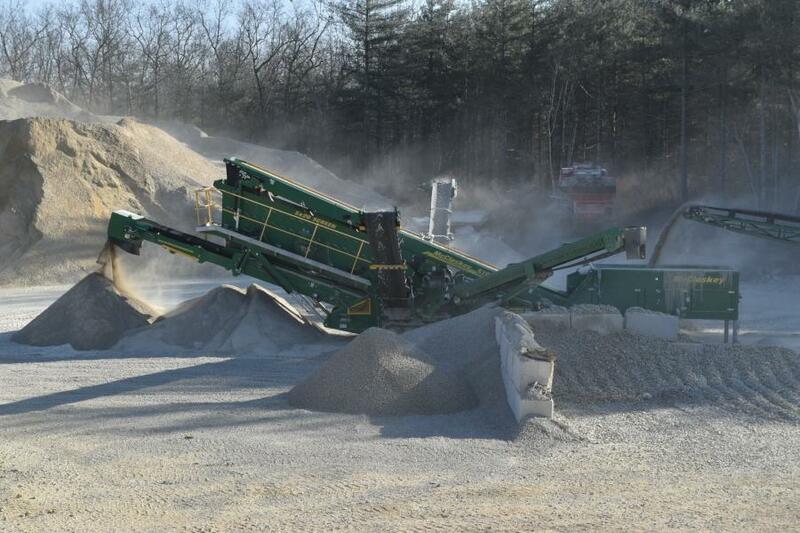 The McCloskey I54 impactor crushes 1 in. minus recycled material. 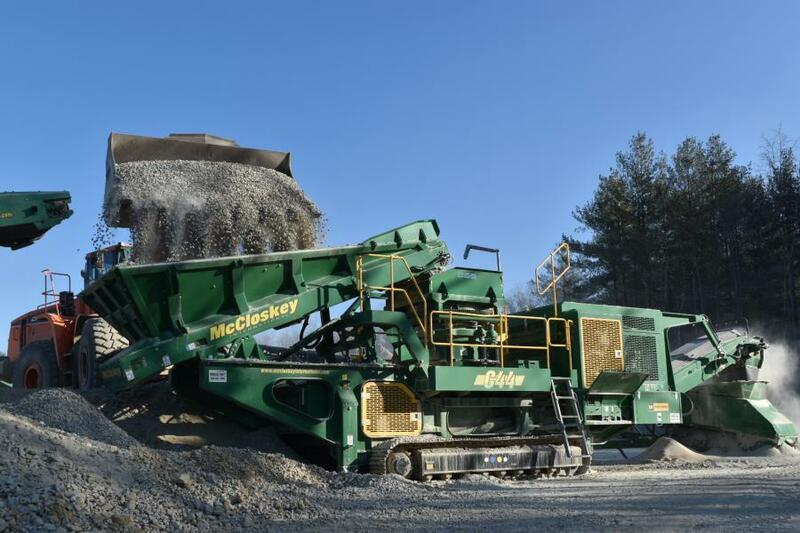 According to Tucker, "This purchase clearly demonstrates our confidence and commitment to the McCloskey product and the service and support that we receive from Rock & Recycling Equipment. "McCloskey has not always been represented well in the New England market. The product was strong, but the previous dealer could not support it. Rock & Recycling Equipment has changed the whole picture dramatically. They have been with us helping to make the right purchasing decisions. They even had us meet with Paschal McCloskey, the founder and president of McCloskey International. He has made himself available to us as a resource as our needs grow. Where else can you get the president of the company on the phone to discuss the product's design and engineering? 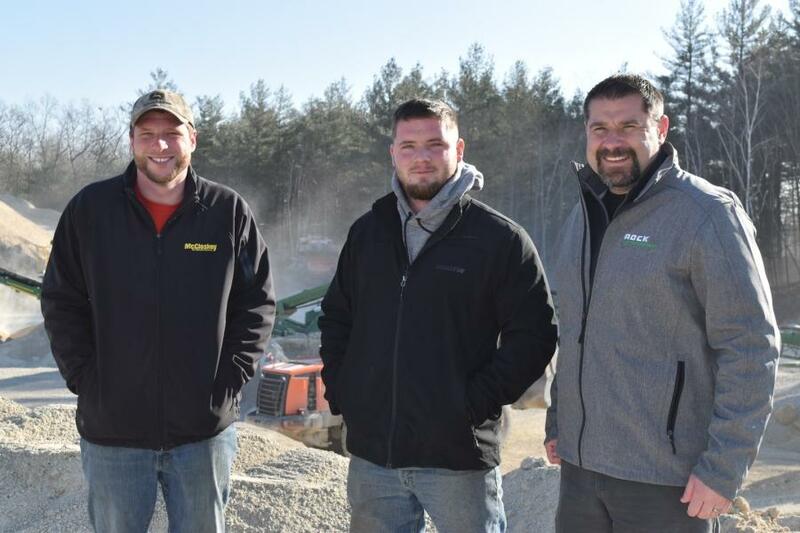 (L-R) are Matthew Morse of Newport Aggregates; John Tucker, facility manager of Newport Materials; and Shane Fleming, managing partner of Rock & Recycling Equipment, New England's McCloskey dealer. "With Rock & Recycling I feel like we have formed a partnership. 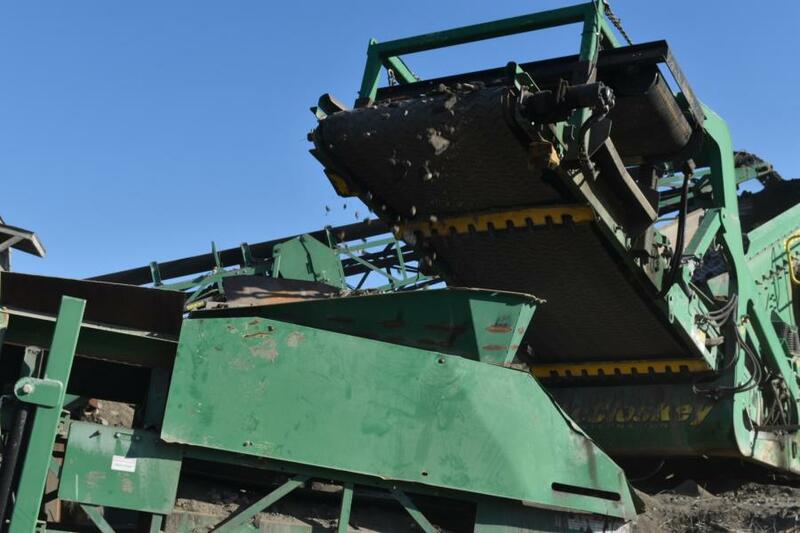 Aggregate production equipment by its very nature are high wear machines. Shane Fleming and Brendan Fox, [Rock & Recycling] and their team have seen to it that our people are properly trained in maintenance and typical repairs. When an issue arises that is beyond the abilities of our employees, they have someone on our site very quickly. "We work in a very rough environment and when we are down, there is zero cash flow. Everything has to be measured by the amount of down time and the ability of the company that we purchase our equipment from to keep us up and running." Newport's story has been one of growth: a company that continued to grow in the construction markets during the nation's worst recession. Expansion into recycling that has grown beyond anyone's expectations followed shortly by diversification into aggregate production. 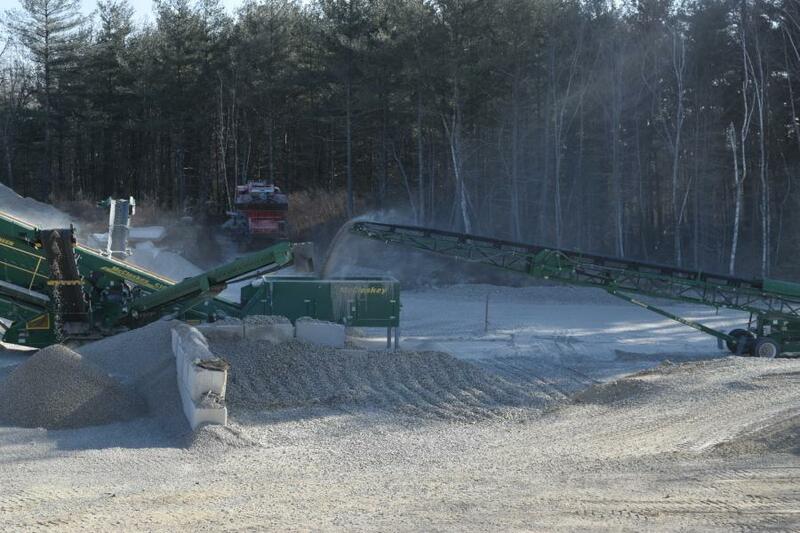 Plans have been put into place for the opening of an asphalt plant at the Westford, Mass., site. The site will have four silos with a capacity of 400 tons of asphalt per hour and will be permitted for 300,000 tons per year. The plant will be entirely electric powered and will exceed all EPA standards, according to the company. This asphalt plant holds tremendous potential for Newport, particularly with its location just one mile off Route 3. The plant also will double the demand of aggregate from the Newport quarry, which will dictate another expansion of the crushing spread, which will no doubt include a few more pieces of McCloskey equipment being added.